Rocket League remains the premier future sports title of the modern era, and the game’s latest update will add a new tournaments mode that aims to satiate the competitive appetite of its extensive fanbase. 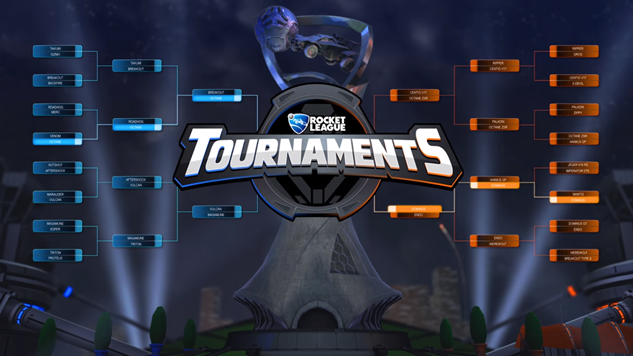 Developer Psyonix announced that the Tournaments update will go live on April 3 for all platforms following a successful beta on Steam last month. The new mode allows players to build their own custom tournaments in which other players may participate. Everything from arenas and game modes to gamebreaking mutator, bounce level and gravity settings can be modified, allowing for a wide array of ridiculous creations for players to experience. So, for those wanting to play Hoops with a hockey puck or Dropshot with the game’s equivalent of a super ball, eat your heart out. Players will be able to party up and join tournaments of varying length and size in team sizes ranging from 1v1 to 4v4. Currently, there is no mechanic for a single player to register for a tournament with multiple team members and be matched with other players, but Psyonix is listening to feedback and looking to improve the mode in a “V2” update the company hopes to release later this year. The update will also implement a series of quality-of-life improvements to better the player experience in-game. Those experiencing connection issues will now be able to see detailed information on what is effecting their connection so resolutions will be easier to determine. Items will now stack and more organizational options will make sifting through the copious amount of car modifications in the game far less intimidating to manage. Most notable, players will now receive feedback regarding chat bans and conduct violations. Players will now be notified when a player they report receives a ban in an effort to make the regulation of chat toxicity more transparent. Rocket League’s Tournaments mode launches on April 3, so get your oddest creations ready ahead of time. One word of advice: don’t play Hoops with a giant cube ball. It won’t end well.